SAP Data Hub is one of the newest SAP products that integrates data from multiple sources. It’s fully containerized which means that each application component runs in a separate environment. The architecture is completely different to SAP Netweaver, so there is a lot of learning ahead of us. 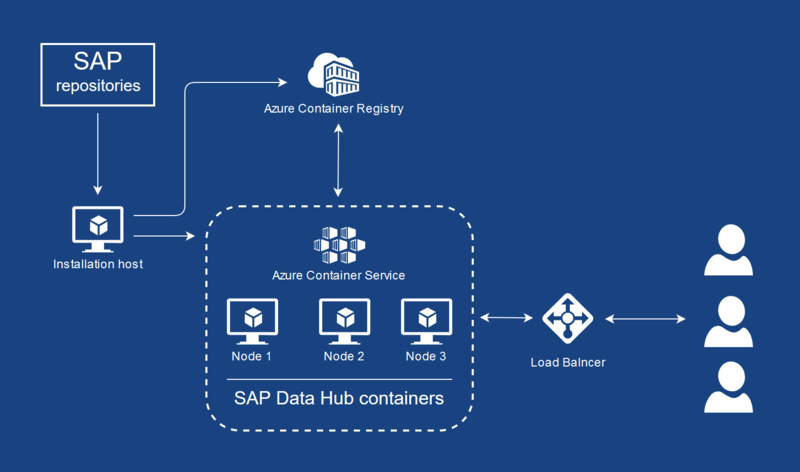 If you are new to Docker and Kubernetes I highly recommend to read firstly an excellent introduction to SAP Data Hub containers written by Thorsten Schneider! 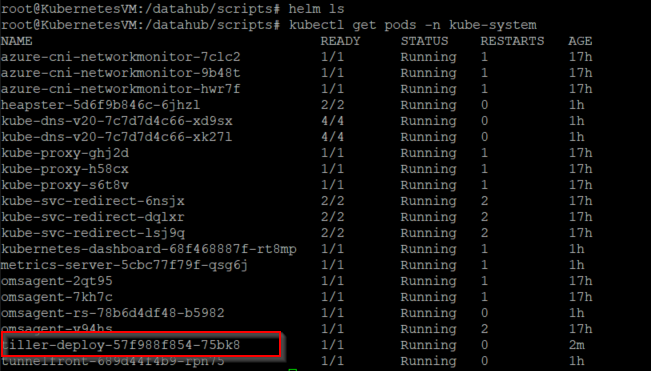 To run the SAP Data Hub you will require a Kubernetes service to manage the deployed containers. 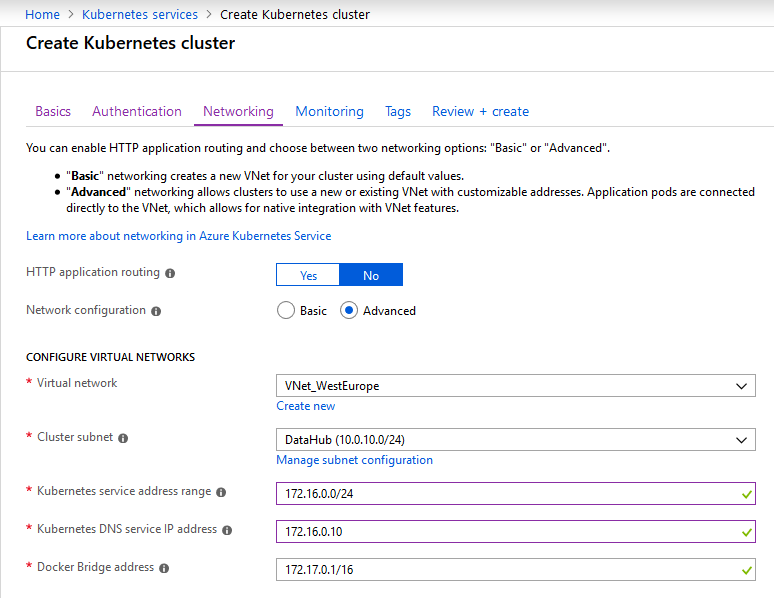 You can use an on-premise solution like SUSE CaaS, but I recommend having a look at the Azure Kubernetes Service and deploy the SAP Data Hub in the cloud! 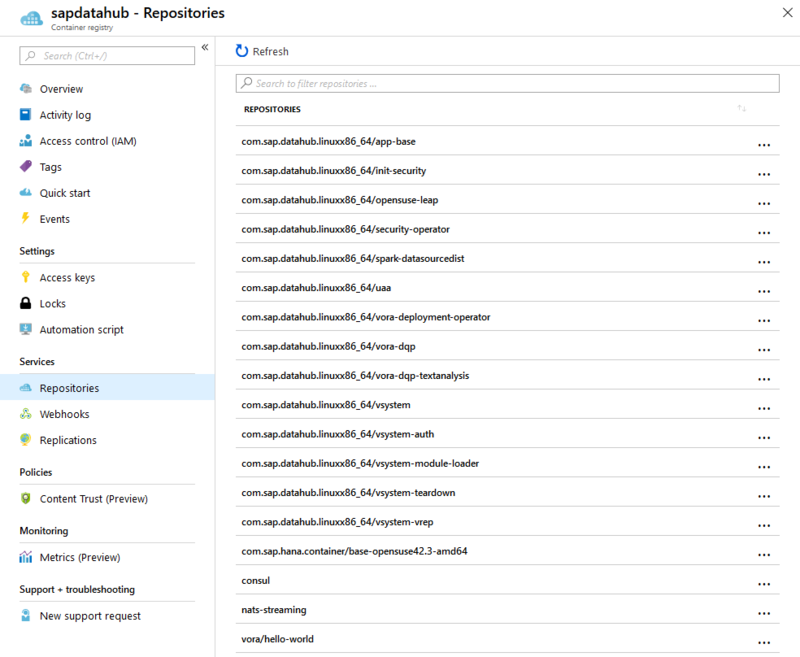 In the following blog, I will present how to prepare all required Azure resources and install the SAP Data Hub product using Azure Container Service. The guide is based on the SAP Data Hub 2.4. SAP is intensively working making things easier, so in future, some steps may be different or not required at all. Always check the current requirements in the installation guide! 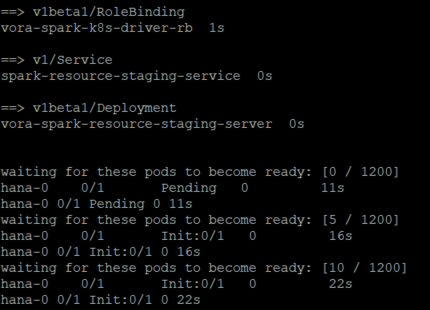 I start with provisioning of the Kubernetes service, as it usually takes a while to be ready. 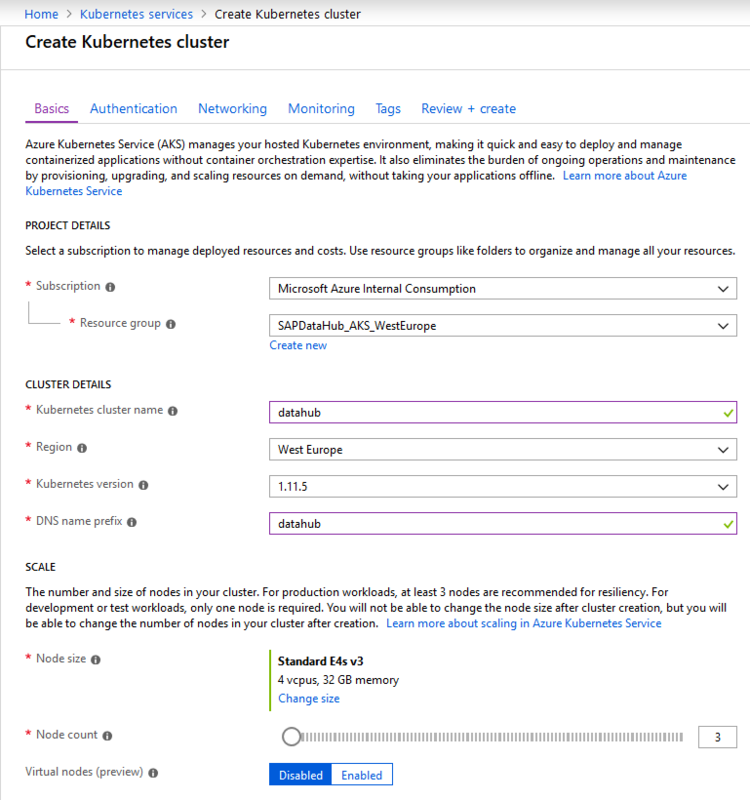 Open the Azure portal and create a new Kubernetes Cluster. Following the installation guide, I select a VM size with 4 CPUs and 32 GB of memory. If you select a smaller node most likely you will encounter issues during containers deployment. 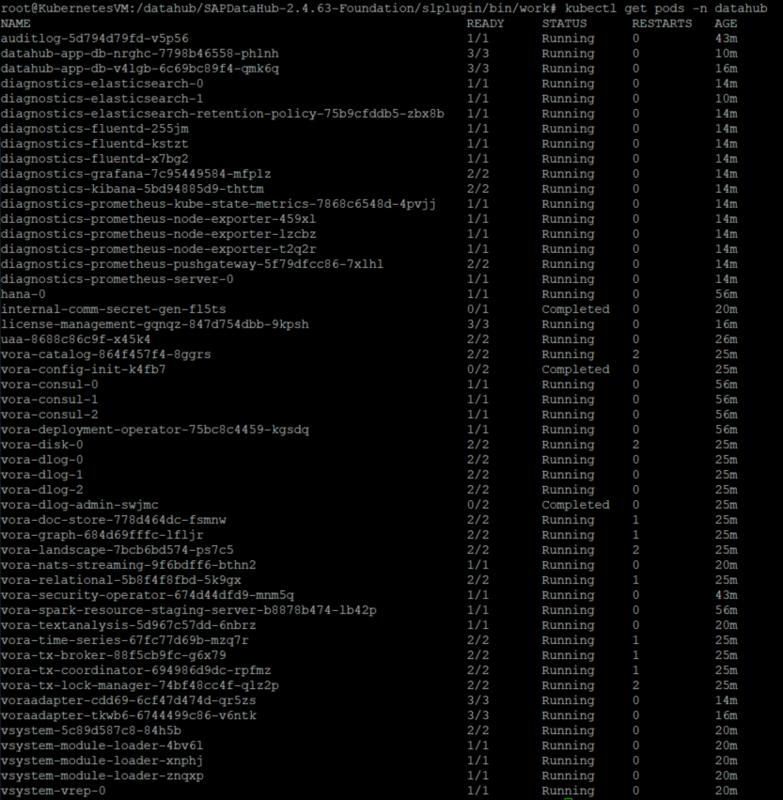 Be careful with choosing the Kubernetes version, as only some of them are supported by SAP Data Hub. Always check the documentation. The currently supported version includes 11.5 which I chose on the below screen. On the Authentication tab I enabled the Role-Based Access Control which is a more secure way to run the Kubernetes cluster, as you have full control over resources. My VNet is already configured and I created a separate Subnet for the cluster. Containers should be placed in a separate IP range, so I decided to use 172.16.0.0 which is not used in my virtual network. Before clicking Create button review all settings on the last tab. During the installation, all containers images will be downloaded from the SAP repository to your private container registry. This way you have a single and secure place to manage them and it also ensures there is no added latency during deployment. For a test or demo landscapes the Basic SKU is just fine, but if you require a higher bandwidth or geo-replication features consider using Standard or Premium SKUs. The SAP Data Hub installation cannot be executed directly from the cluster, but instead, it needs an installation host. You can use any already deployed server, but my recommendation is to provision a small VM and use it to manage the cluster. 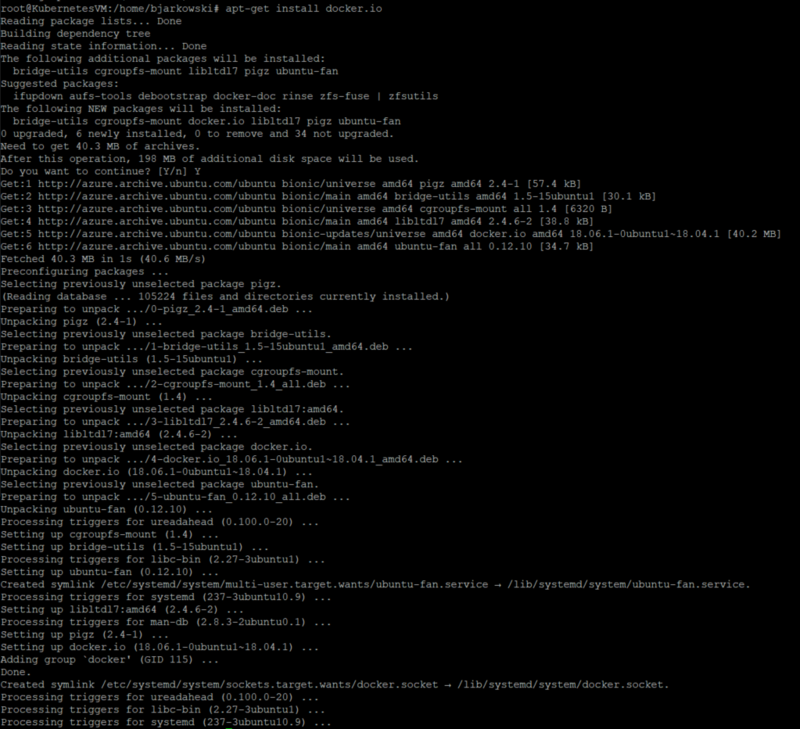 I selected a 2 vCPU server with Ubuntu, which doesn’t cost too much and gives me flexibility. Once the VM accessible you can connect to it and start the initial configuration and software download. The Docker is available as a standard Ubuntu package so it’s just enough to run the apt-get command, no need to update repositories. 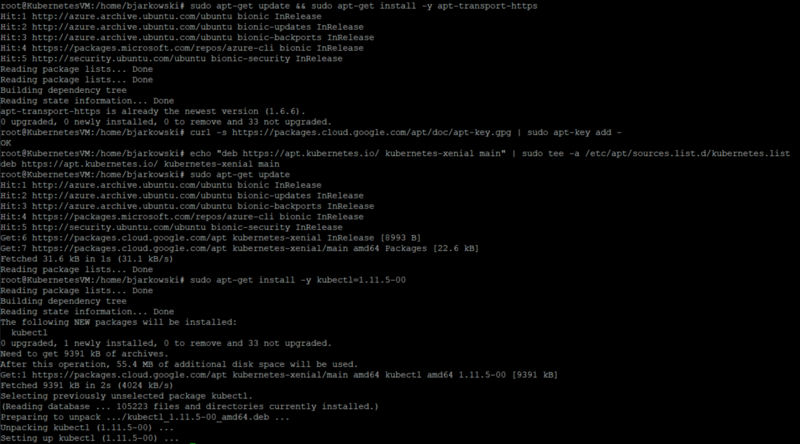 Again, no need to rebuild packages, apt-get is enough. The helm doesn’t have a package in Ubuntu repositories, but you can just download the desired version from GitHub and unpack it on the server. Pay attention to the release you want to download, as only some of them are supported. 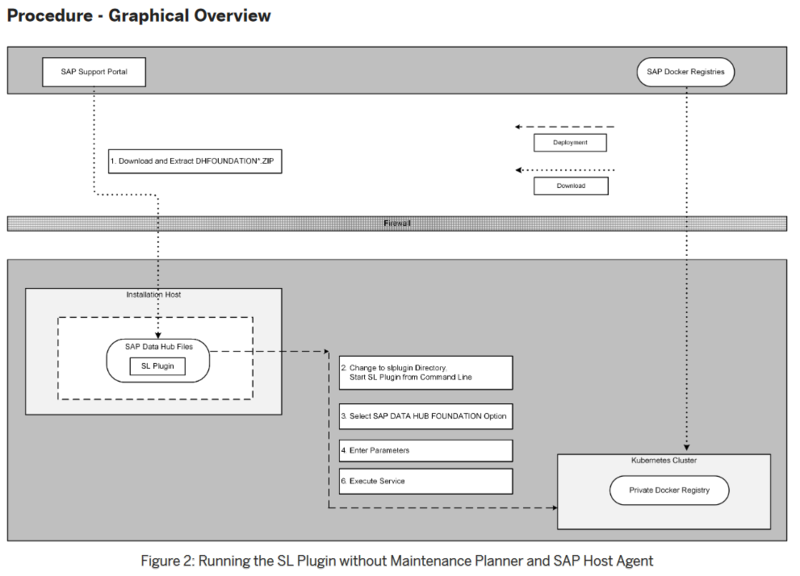 Download the required software from SAP to the installation host. In this tutorial, I won’t use the maintenance planner so you don’t have to install the SAP Host Agent separately. 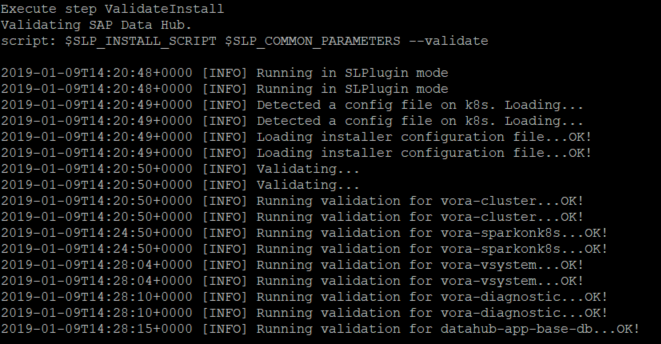 The SL PLUGIN component that is used to perform the installation is bundled with the Data Hub. 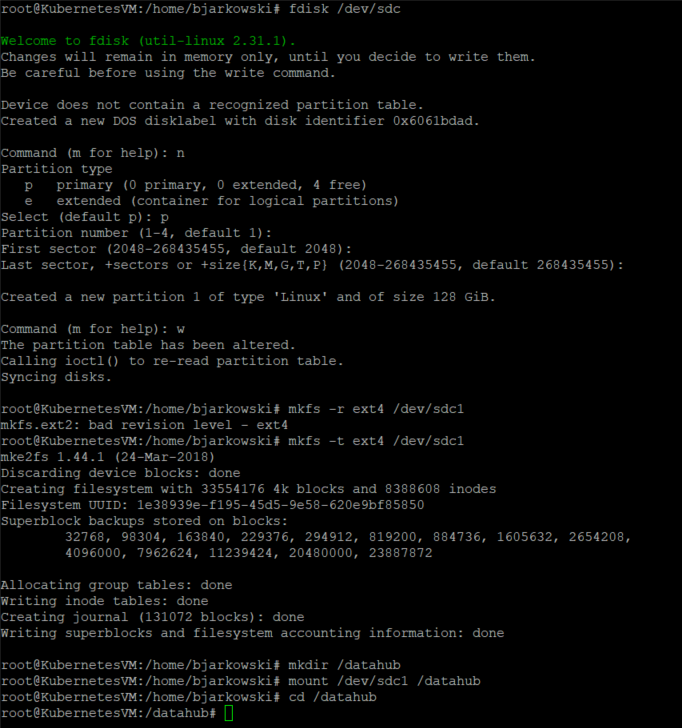 The software may not fit to the OS partition, so I added a 128GB disk in Azure and mounted it as /datahub. 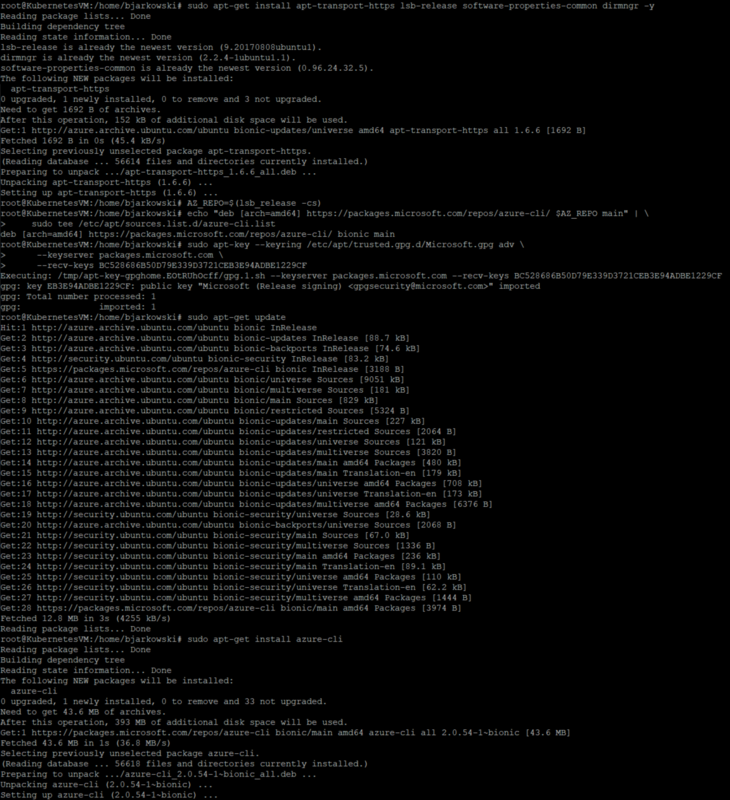 I use a wget to get the software from SAP site and then I unpack the archive. When the installation host is ready, we can attempt to execute activities required before the actual SAP Data Hub installation. Firstly, we need to ensure the Kubernetes cluster is available and we can communicate with it. 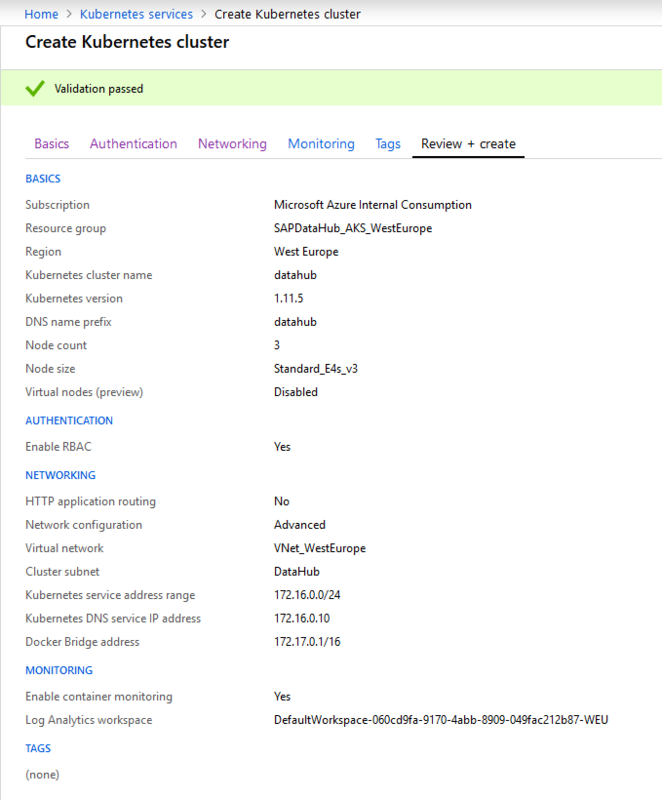 We need to log in to Azure and create a credential file for the kubectl tool. 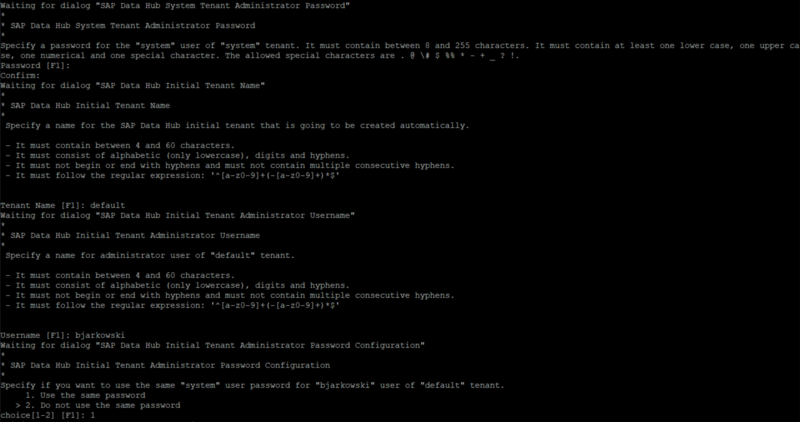 The last thing we need to perform before starting the installation is to configure access to the container registry. 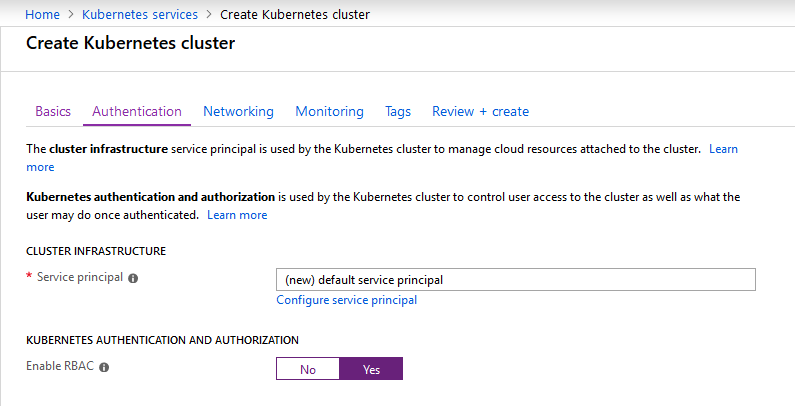 During the deployment of the cluster the service principal is created automatically, and we need to assign permissions to pull images from the registry. It can be done through the Azure Portal, but Microsoft published a script that can do it for us. 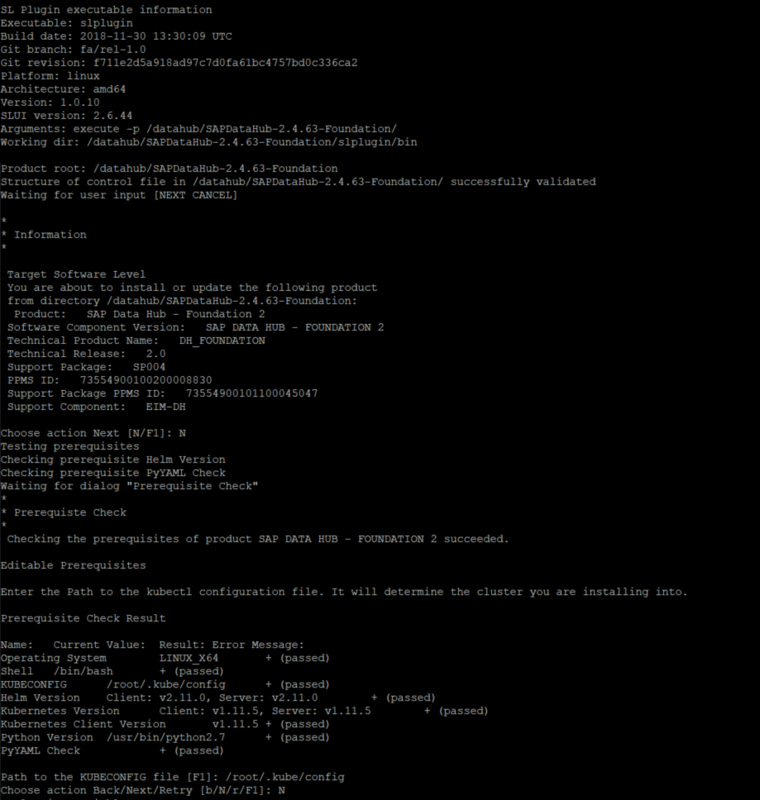 SERVICE_PRINCIPAL_ID – a service that runs the cluster. 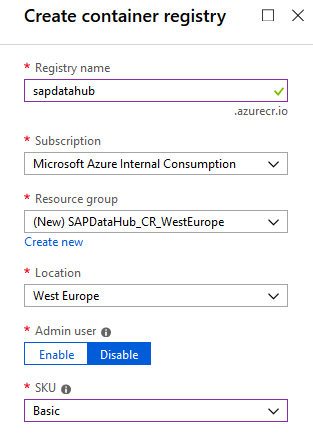 The ID can be retrieved from the Azure portal in the Azure Active Directory -> App Registrations. Use the Application ID value. Create and execute the following script filled with your data. # one of its 'servicePrincipalNames' values. Finally, let’s login to the ACR using our local account (if you won’t perform this step installer won’t be able to push images to the registry). There are three different ways to perform the installation. The basic option is to use the install script delivered together with SAP Data Hub software, but the recommended approach uses the Software Lifecycle Plugin that performs the installation of containerized application. The SL Plugin can be used with or without Maintenance Planner – I found the integration with Maintenance Planner a bit overkill, so this guide I follow the standalone route using command line. If you struggle to decide which approach to take, you can also refer to the pros and cons table inside the SAP Data Hub Installation Guide. 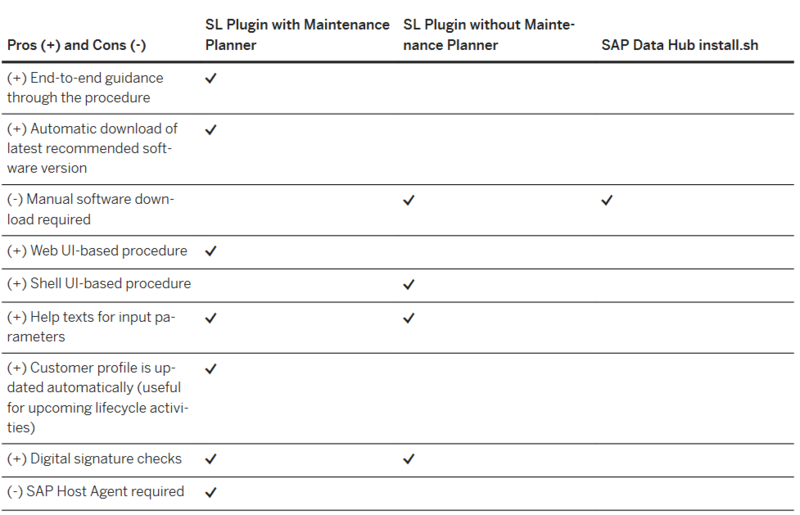 In my opinion, using the SL Plugin without Maintenance Planner is currently the best choice, as you don’t have to prepare the SAP Host Agent and the connectivity to the Maintenance Planner. We can distinguish several phases of the installation and I will try to shortly describe each of them. At the end of this chapter I also included the full parameter summary for your reference. Go to the directory where the SAP Data Hub archive was extracted to execute the slpluigin file located under slplugin/bin. The first part of the process verifies that all components have the required version. If your Kubernetes Cluster release is not supported, then the check will fail and you won’t be able to continue with the installation. Always check the currently supported releases in the SAP Data Hub documentation. The path to the kubectl config is determined automatically so we just have to confirm the value. In the next phase we need to choose a namespace for SAP Data Hub product in the Kubernetes Cluster and decide to go with Basic or Advanced installation mode. The Kubernetes namespace allows to logically separate pods in the cluster – we will use this name again later, so take a note of what you chose. Then we need to provide our S-User and the password that the installer can download required docker images. They are located in SAP repository which can be accessed using a Technical User created during this process. If the Docker is not installed on the installation host you will get an error at this stage. Next, provide the address of the Azure Container Registry. I did not create a pull secret, so I select a respective setting. 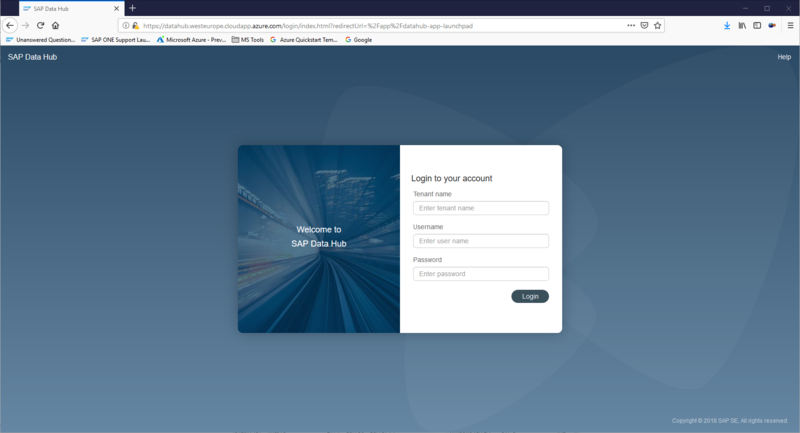 We are asked to provide the username and password to access the SAP Data Hub (don’t forget what you entered here as we will use it to log in to the system). I set the tenant name with the default value. There is a few more questions that we are asked to answer. Each of them is documented, so I won’t repeat information here. The full installation summary can be found bellow. In most cases I followed the default settings. Choose 'Next' to start with the values shown. Otherwise choose 'Back' to revise the parameters. Now the installation starts. During the first part all docker images are pulled from the SAP repositories and pushed to Azure Container Registry. 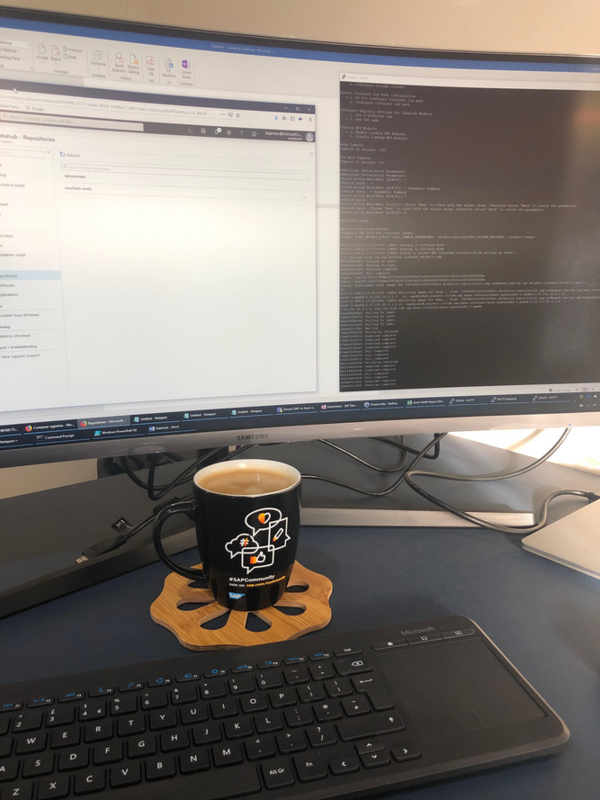 This can take some time (around 2 hours, depending on the internet bandwidth), so it’s a good moment to make a coffee in my favourite SAP Community cup! If your node size is too small, you may encounter issues with the deployment. For example, the HANA image requires at least 20 GB of available memory, so if your node has only 16 GB the deployment will fail with the status CrashLoopBackOff. Some of the containers depend on each other and the Kubernetes cluster will repeat the process of initializing them. CrashLoopBackOff doesn’t always mean that something is wrong, sometimes the pod just needs additional time to be provisioned (because the dependant pod is still in status Init). The last step of installation is the automatic validation. 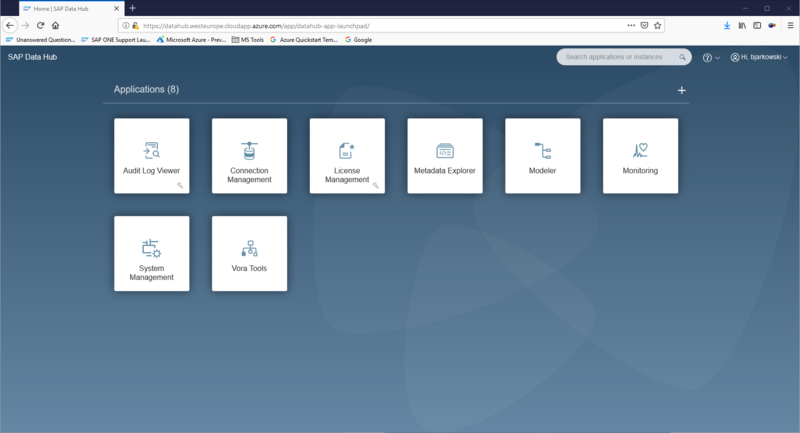 If everything went well, you should not see any problems the SAP Data Hub is almost ready to use. The above command also created an External Load Balancer in Azure, configured the backend pool and routing rules, and assigned a public IP address. There are two way to assign the DNS name to IP address. 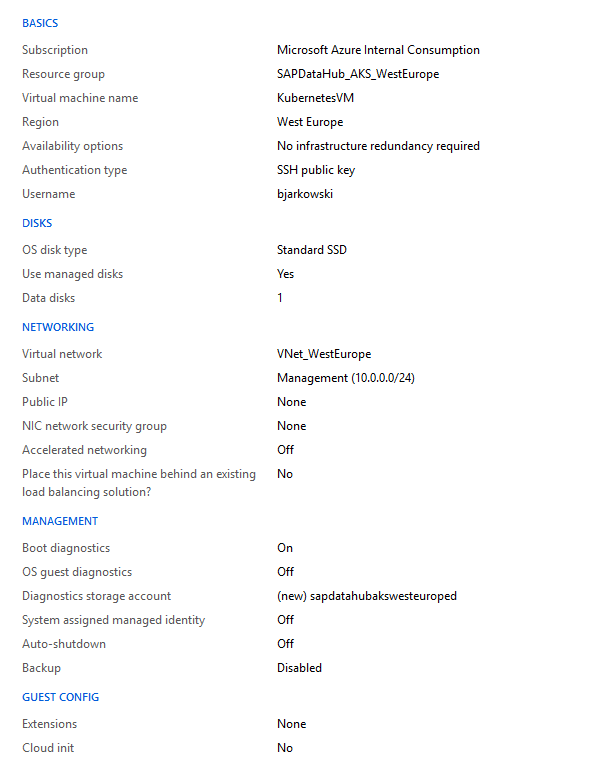 You can either use the script from the installation guide or go to the Azure Portal and change the setting in there. openssl req -x509 -nodes -days 365 -newkey rsa:2048 -keyout /tmp/tls.key -out /tmp/tls.crt -subj "/CN=<FQDN>"
Log in using the credentials defined during the installation. That’s it! The installation is completed. I found the process a bit tricky, so I hope such end-to-end guide will be useful.